Humana organized this autumn Humana Day, an annual event for the third year is dedicated to climate change and which has the theme "Our Climate, Our Challenge". It is an international event which also includes fifteen organizations of the Federation Humana People to People in Europe. The main objective of the action to be held in Madrid, Barcelona and Granada, is to provide citizens with the opportunity to learn more about climate change, about the work that Humana is doing to combat its effects. The purpose is to show how between everyone can prevent some of the consequences that the phenomenon is causing. Since its birth, the Humana Day has focused on a different topic each year relevant: education (2010), food security (2011) and the role of women in development (2012). 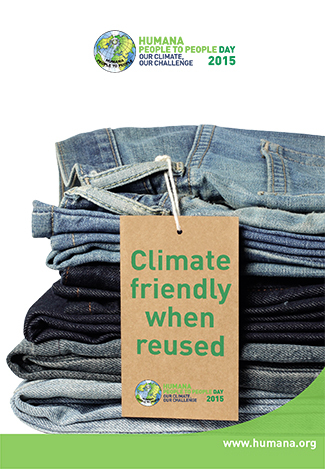 From 2013 the emphasis has been on the fight against global warming; if in the two previous editions we focused on our work in the South, this year the goal is to highlight how the reuse and recycling of textile have a clear and positive impact on the environment, reducing the consumption of raw materials for making new garments. 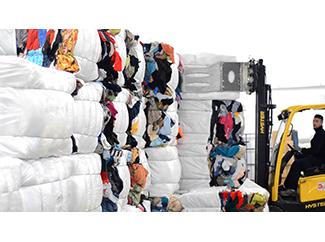 And the more sustainable garment is already made. It’s common to think of climate change as an unstoppable and irreversible force, which we as individuals can do little to stop. We see the fight against global warming as the responsibility of the United Nations, governments, environmentalists and large multinationals. We think that success depends on the likes of the Kyoto and Copenhagen protocols, on international climate summits like UN Climate Change Conference COP21 Paris 2015, on scientists, or activists. There is also a tendency to think that those responsible for climate change are economic and industrial power houses that will stop at nothing to grow and earn ever more profit, despite the consequences of their actions on the earth. We’re naïve enough to think that the ozone hole, sea level rise and increasing temperatures are problems that have little to do with ourselves. The Synthesis Report of the IPCC Fifth Assessment Report, published in November 2014, concludes that "if left unchecked, climate change will increase the likelihood of serious, widespread and irreversible impacts on people and ecosystems. However, there are options for adaptation to climate change, and stringent mitigation activities can be achieved that the impacts of climate change remain at a manageable level, creating a clearer and more sustainable future. " 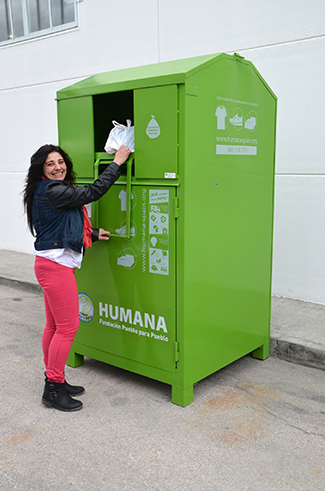 At Humana clear that working together we can create the forces necessary to mitigate climate change and adapt to the changes that have already occurred. We believe in a coordinated effort to bring about change.